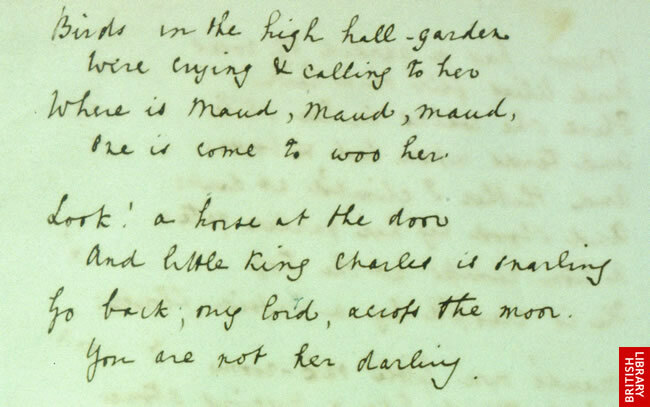 Alfred Lord Tennyson’s fair copy of Maud, written 1854. As he glow’d like a ruddy shield on the Lion’s breast. Shall shake its threaded tears in the wind no more. Far into the North, and battle, and seas of death. And hail once more to the banner of battle unroll’d! The blood-red blossom of war with a heart of fire. I embrace the purpose of God, and the doom assign’d.